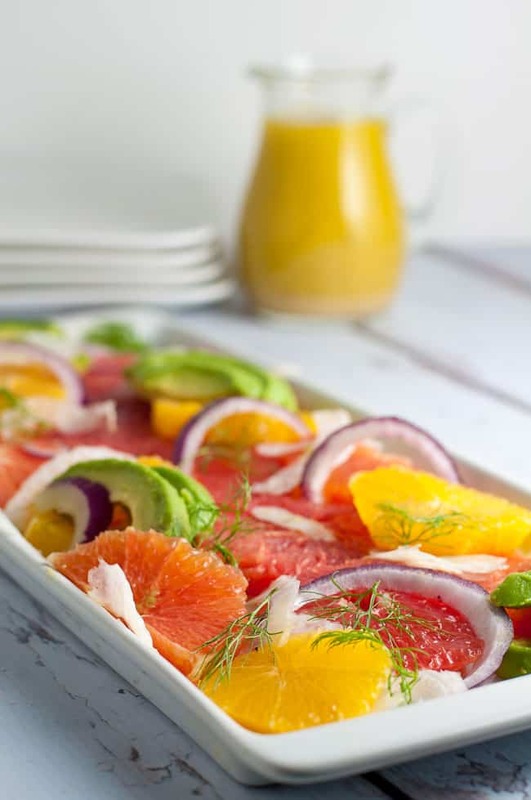 This Grapefruit-Orange Avocado Salad is made with a base of pink grapefruit, Cara Cara and navel oranges. 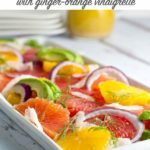 A Paleo, Whole30 and vegan citrus fruit salad! 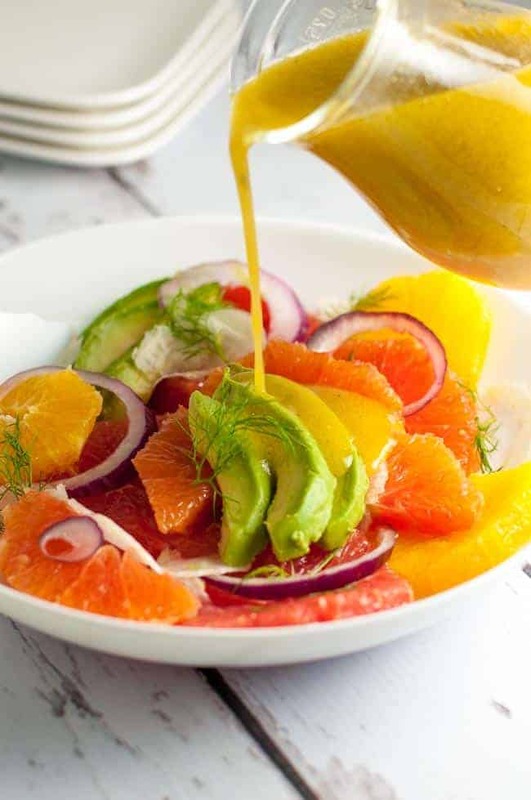 This bright, cheerful Grapefruit-Orange Avocado Salad, bursting with Vitamin C, guarantees to help banish the winter blues. It might just help fight off a winter cold, too. Here on the West Coast of Canada, January can sometimes be a month where we just want to escape and head somewhere sunny, warm and bright. It’s often gray and rainy here. Sometimes we don’t see much sunshine for days. This year we’re experiencing an unusual cold snap with freezing temperatures. While we’ve had some spectacularly sunny days, in my mind it’s still January. Summer seems a long way away. But one way to bring some sunshine into my home is with the colourful citrus fruit that is available now. I made this Grapefruit-Orange Avocado Salad with a base of pink grapefruit, Cara Cara oranges and navel oranges. It’s bursting with vibrant cheerful colours and Vitamin C! Once January arrives, I love getting inspiration for new recipes simply by making a trip to the supermarket. Grapefruit, oranges, kumquats, clementines, Meyer lemons. I love them all and they’re fun to use to create new recipes. 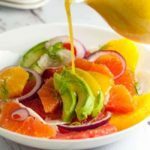 This is a simple citrus fruit salad that doesn’t rely on salad greens, which can be pricey and sometimes poor quality at this time of year. I added paper-thin fennel slices for that lovely liquorice flavour, red onion for some zing, and avocado, because . . . avocado. Then, slice the fruit, arrange on a platter and drizzle with dressing. This tasty Ginger-Orange Vinaigrette ties all those bright citrus flavours together. It’s the same dressing that I use to top my favourite Baby Bok Choy Salad. This salad is sweet and juicy and it’s pretty. It’s one more way to make sure we’re getting lots vitamins, minerals and fiber in a low-calorie package. Enjoy! 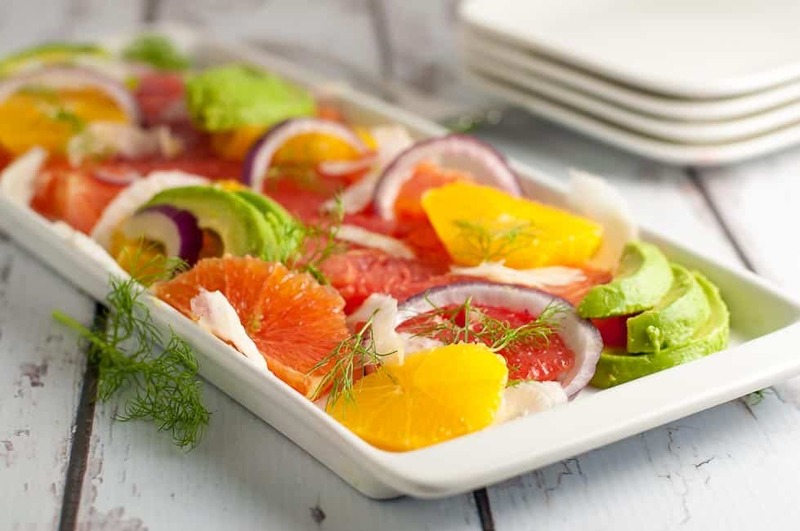 Banish the winter blues with this cheerful bright Grapefruit-Orange Avocado Salad with Fennel. 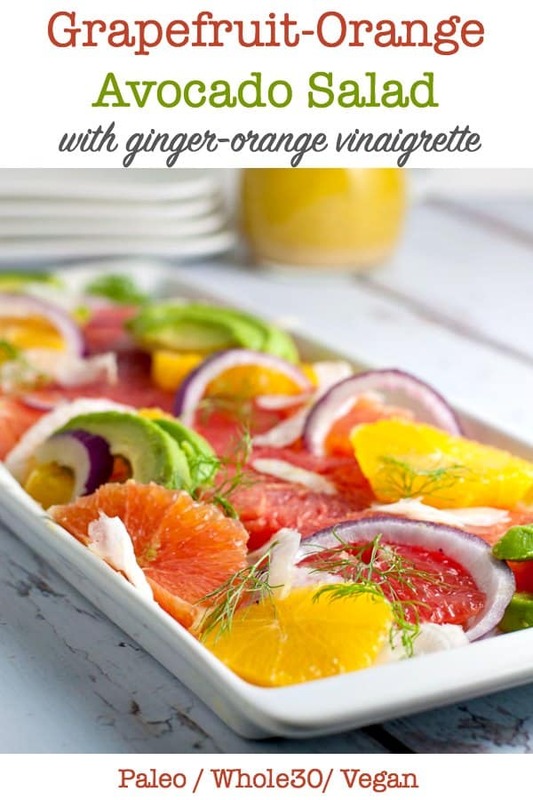 It's bursting with Vitamin C.
Whisk Ginger-Orange Dressing ingredients together and set aside to allow flavours to blend. Peel grapefruit and oranges, remove pith and slice into rounds, 1/4 inch thick. Slice red onion and fennel, using a mandolin slicer if available, to create paper-thin slices. Arrange fruit slices attractively on a platter, top with fennel and red onion. Add avocado slices just before serving. Drizzle with dressing and serve. 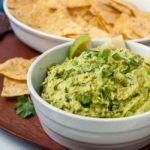 If not serving immediately, add sliced avocado just before serving so it doesn't discolour. Wow! I never would have thought to put avocado with grapefruit, their flavours seem so different! I will definitely be trying this the next time I host a brunch! 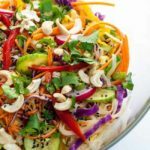 This salad looks amazingly delicious! 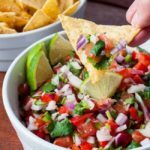 I’m often looking for a special appetizer salad to serve guests at the beginning of a meal, and this would definitely qualify! Who doesn’t love citrus fruits! I’ll be pinning this recipe to try. Thanks, Cathy! I love all the citrus fruit that’s available at this time of year. 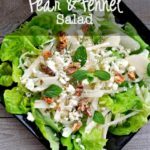 What a beautiful, fresh spin on a winter salad! I haven’t worked with fennel much — I’m going to put this on my list to make this month to take advantage of seasonal citrus. I’ve just pinned the recipe! Thanks for sharing, Elaine! Fennel has a lovely liquorice flavour and it really adds interest to dishes. If it’s new to you, just start with a little. Thanks for pinning!